Page 4 – Your place to share stories on and off the bus. Down in the spookiness of the Forest Hill station, a man in a trench coat suddenly loomed up and started shouting at an older woman waiting for an inbound train. As he lunged toward her, hurling threats, Heidy suddenly appeared. Heidy quickly stepped in between them, turning first to the woman, looking her in the eye and asking, “Are you OK?” The woman nodded and stepped back. The man’s anger was now focused on Heidy. She held her ground, not moving. Whenever he shouted something, she spoke back to him firmly but respectfully. The train rolled into the station, and the man was now calm enough to board without threatening others. There is food to be had, and he was headed down to get some. But, as I saw it, Heidy had given him something much greater: she SAW him. She showed him respect despite his outrageous behavior, but she wouldn’t let him get away with victimizing an innocent person. She held him to a higher standard, and this eventually caused him (despite his fragile mental state) to focus back on his real needs. And…I want to be her when I grow up. 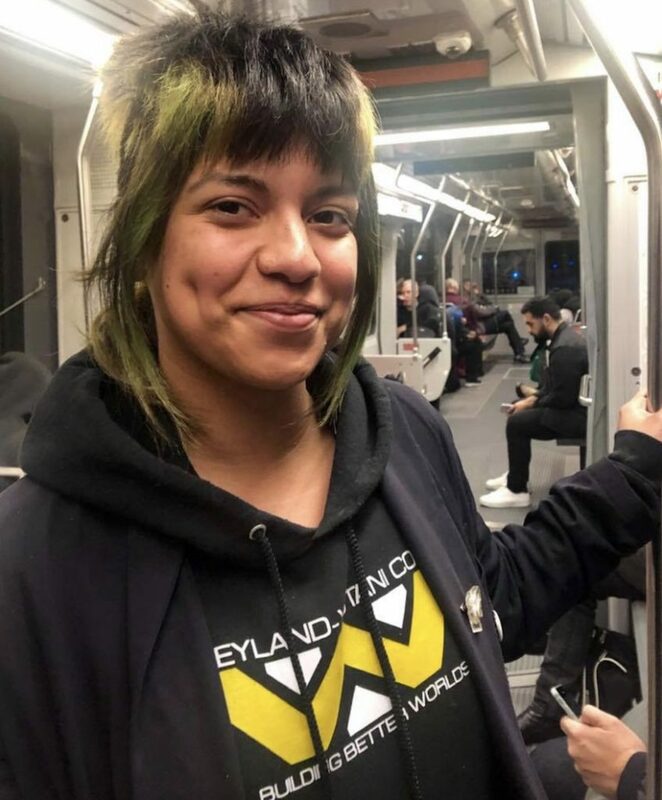 On the Muni Diaries Twitter feed and inbox, we’ve seen many stories of riders standing up for one another, including when an entire group of women formed a line of defense, and when fellow riders refused to tolerate body shaming. But it takes something special to truly see people, even at their worst. Kind of gives you hope for humanity, doesn’t it? 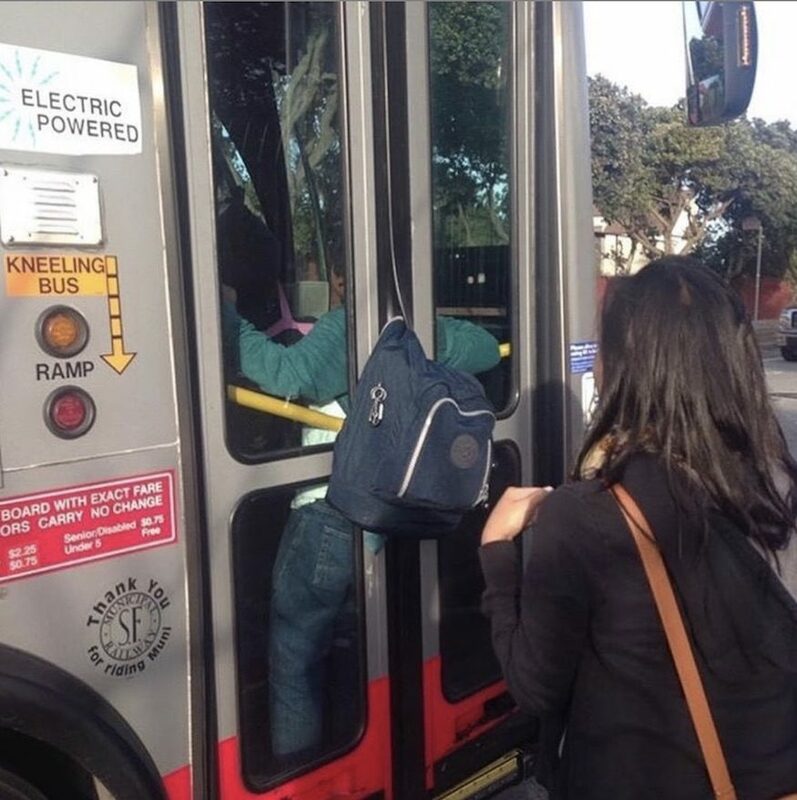 If you have a story to share or a Muni hero that deserves a shout, we want to know! 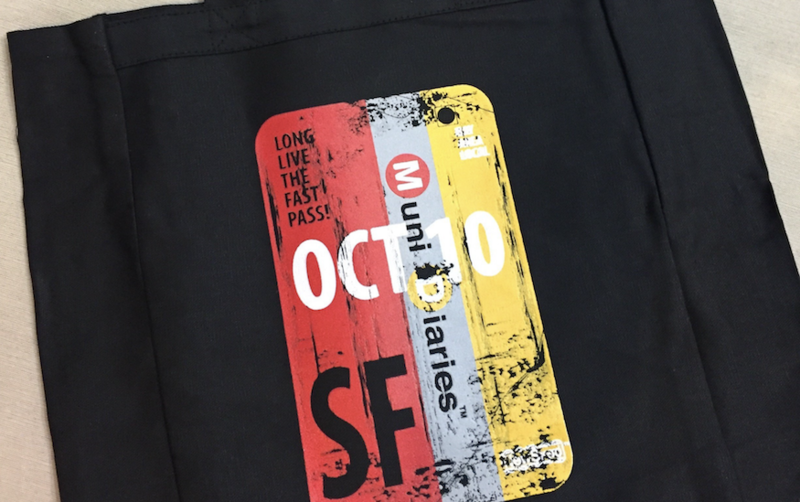 Tag us @munidiaries on Twitter, Facebook, or Instagram, or email us at muni.diaries.sf@gmail.com. 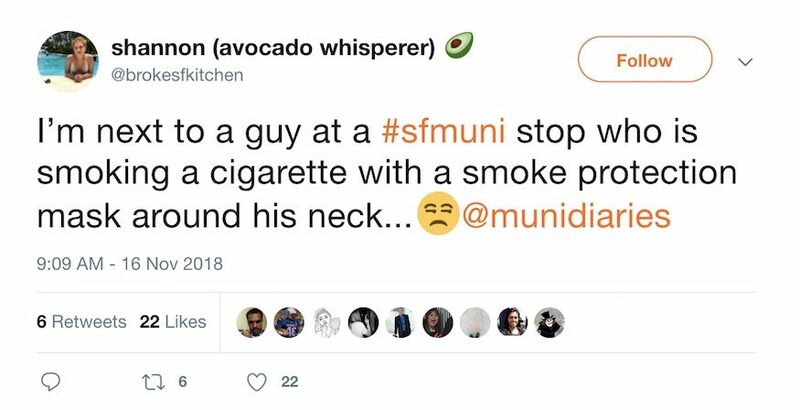 You can also see Irene’s first Muni Diaries entry involving a burrito as deterrent for pickup artists. Missed an episode of Muni Diaries? Subscribe to our podcast so you don’t miss a story. Every transit system starts with a dream, and over there in Reddit-land, the catalyst for the dream was the Taco Bell Crunchwrap Supreme. 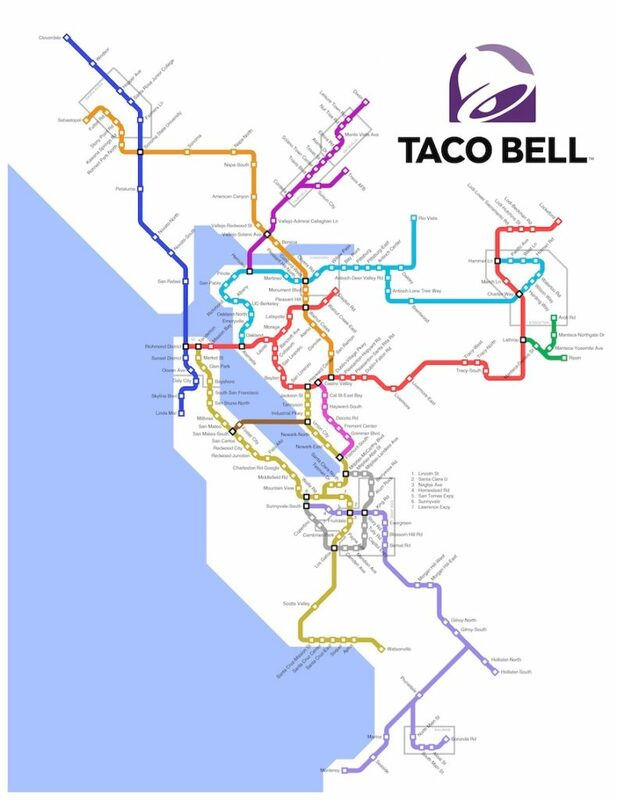 Reader Kini S. sent over this tip: A super fan of the fast food chain created a Taco Bell transit map on Reddit to visualize what it’d be like if we had a transit system that connected all the Taco Bell locations in the Bay Area. This map includes the Most Beautiful Taco Bell location in the country in Pacifica just off of the Linda Mar stop, where rumor has it that you can get a beer or a slushy fortified with booze along with your Taco Bell Chalupa or Gordita. Reddit commenters noted the lack of Taco Bell locations in poor, poor Marin, with only three locations before you get up to Petaluma. 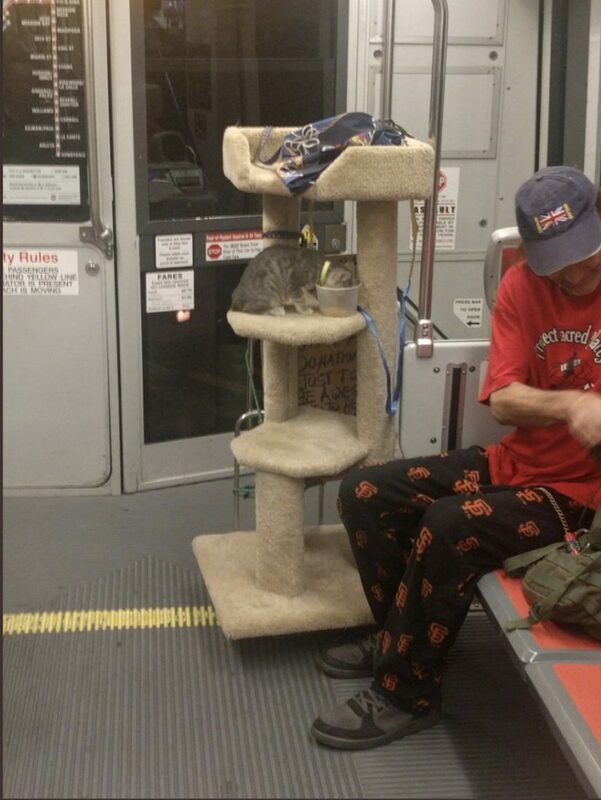 Though, as one commenter says, just seeing BART up in the North Bay is indeed enough to bring tears to your eyes. BART maps seem to inspire all kinds of day dreaming. Once upon a time someone mashed up Mario Kart with BART, dreamed up a complete North Bay BART system, and renamed BART stations based on Hamilton, the musical. If you’re still in the fast food frame of mind, check out “subwaysubway” on Reddit, where folks have created subway maps that connect locations of the sandwich chain. We see what you did there. Got a hot tip for your fellow transit riders? Tag us @munidiaries on Instagram, Twitter, Facebook, or email us at muni.diaries.sf@gmail.com. You can support the city’s original online transit journal by subscribing to our podcast or helping us on Patreon or our Etsy store where you can find our super-SF Fast Pass goodies on sale right now. We don’t have to look far to remember why we live here whenever the rent, downtown traffic, and constant fog get us down. In the last year, your stories and photos have been daily reminders of the quirky, delightful, and lovable San Francisco that we know so well. 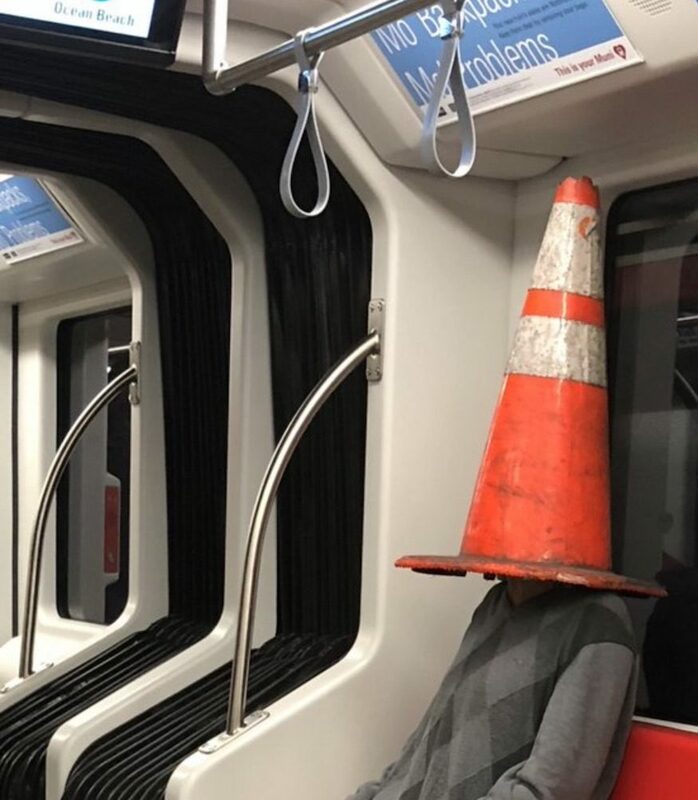 We sifted through all of your submissions this year to find some of our favorite moments in the city, as seen on and off Muni. 2. San Franciscans banded together during the two weeks of wild fire where N-95 masks became de rigueur. 3. Our Strange Cargo collection got a lot more adorable with this kitten-on-a-cat-tree situation. 4. 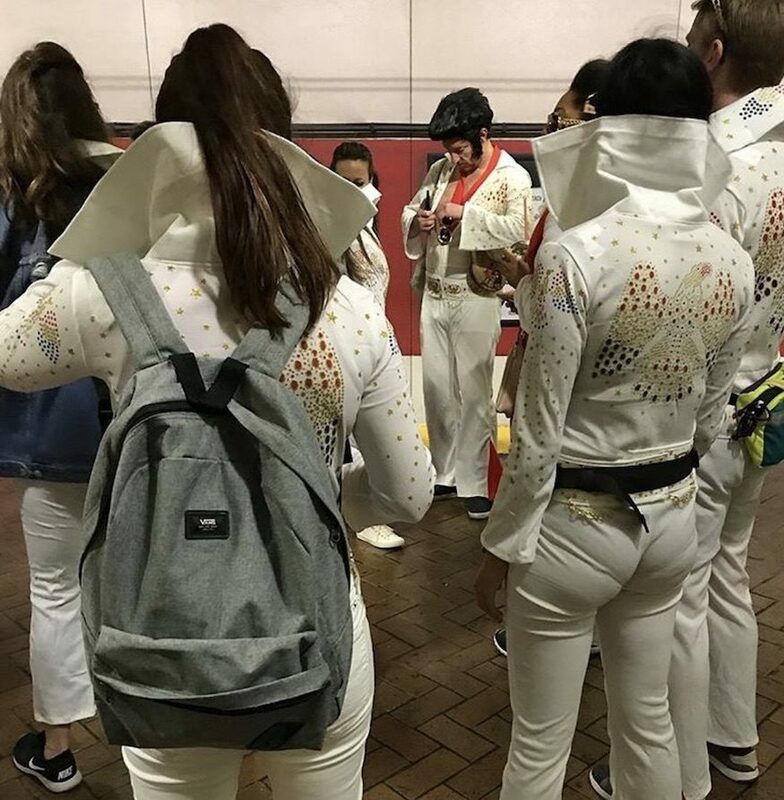 Why did Elvis leave the building? To take Muni with six of his clones, we think. 5. 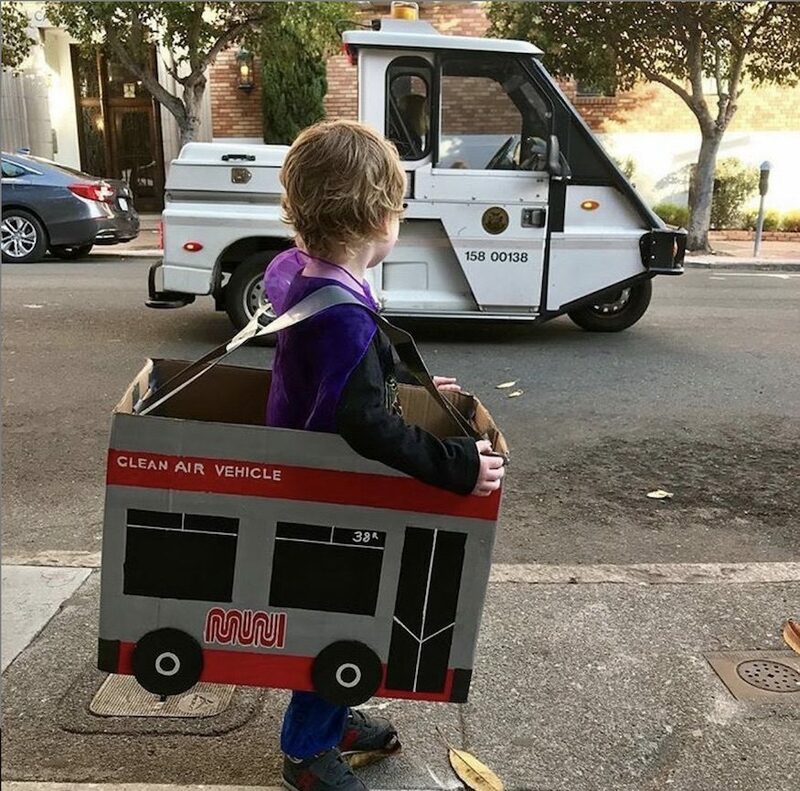 Muni went head to head with the parking enforcement officer this year on Halloween. Who will win? We’re putting $10 on the kid. 6. 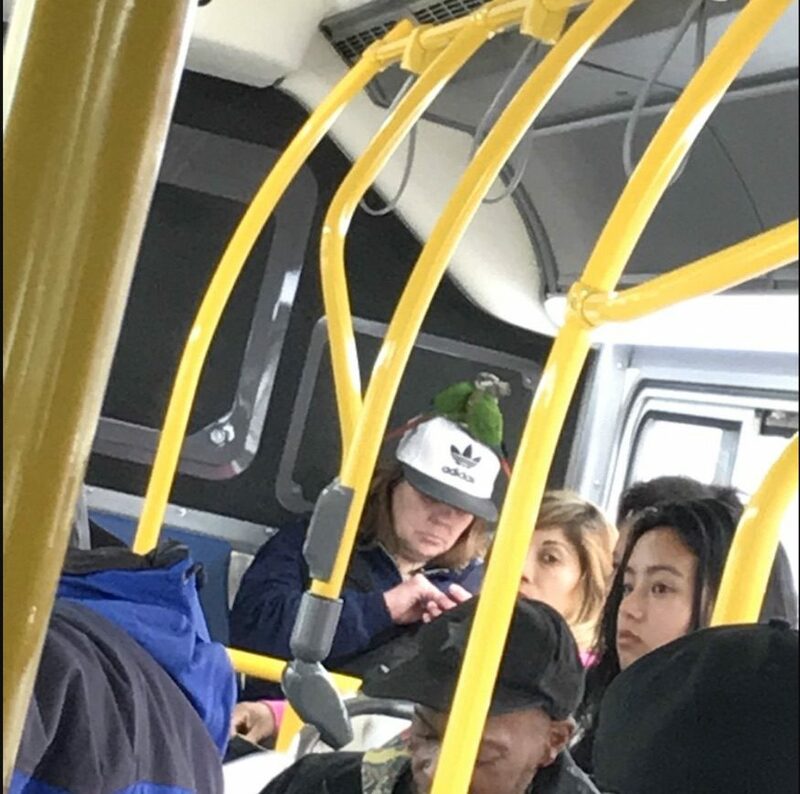 Everybody rides Muni, even the parrots of Telegraph Hill. 7. 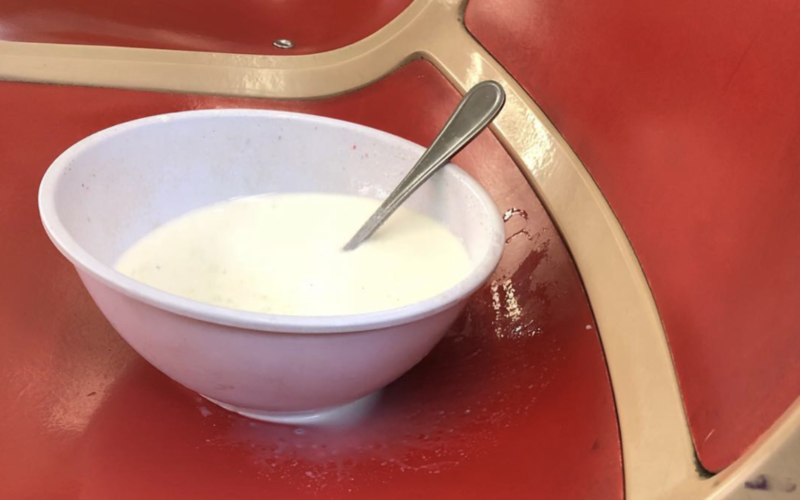 I mean, how can anyone leave cereal milk behind? 8. 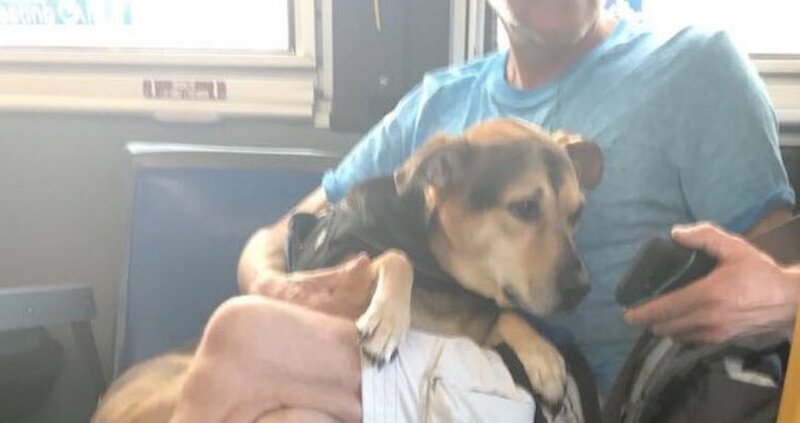 Don’t die of cuteness, but this dog catching up on some Animal Planet on Muni is pretty much everything. Thanks to everyone who submitted an entry to our collective diary this year! 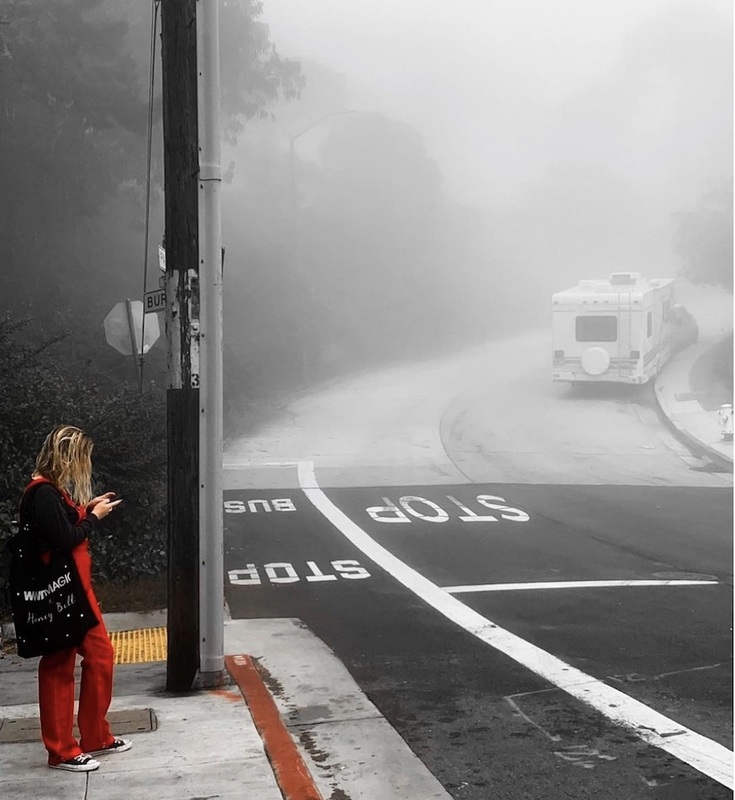 We can’t do this without you, and we’ve been collecting your Muni and San Francisco stories for nearly a decade. If you have a story that makes you say, “this is what San Francisco is all about,” we want to know! Submit your stories and photos by tagging us @munidiaries on Instagram, Twitter, Facebook, or email us at muni.diaries.sf@gmail.com. You can support the city’s original online transit journal by subscribing to our podcast or helping us on Patreon or our Etsy store where you can find Fast Pass goodies on sale right now. 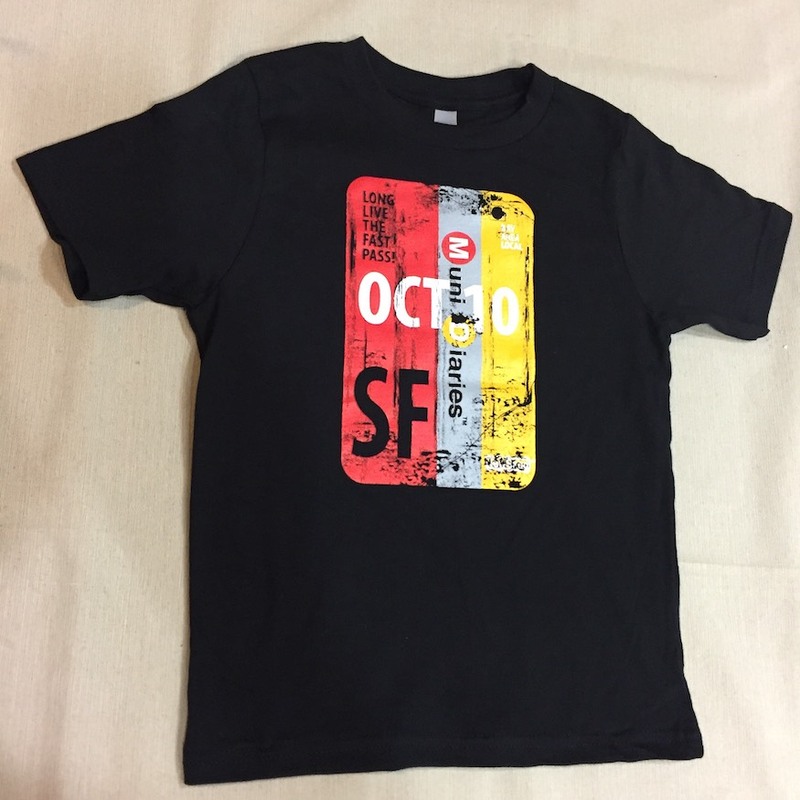 A most Muni Black Friday sale: Show your SF pride! Nothing boosts your SF cred (or at least sparks conversation with a n00b) like an ode to the dearly departed Muni Fast Pass. Fellow San Franciscans, no matter the cut of your jib, head on over to our Black Friday sale in the Muni Diaries Etsy shop, where everything is 20% off! 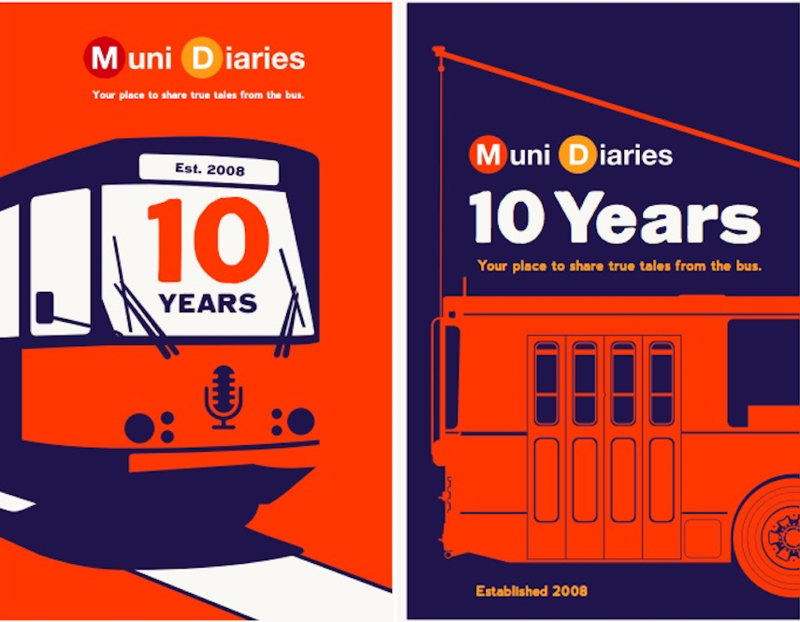 You’ll find tote bags, tees, baby onesies, and Muni Diaries 10th anniversary posters designed by local graphic designer Craig Fowler. Thanks, as always, for supporting our project. Here’s what we’re most thankful for this year at Muni Diaries HQ.